The Singapore Representative Office coordinates with NIPPON STEEL Southeast Asia Pte. Ltd. for the maximization of group synergy. 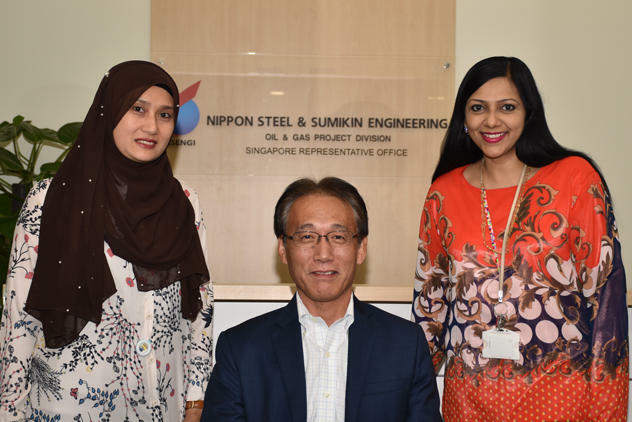 The Singapore Representative Office was established in 2016 to supervise NIPPON STEEL ENGINEERING CO., LTD.'s market research and business development activities in the Southeast Asia region. Business development; market research and promotion of our products and services; identification and acceleration of opportunities; sourcing of local products; general business liaison activities between head office and local government, organizations, and prospective Southeast Asian business partners.